Every man has an interesting story. Share yours at mystory@hebeinteresting.com and win interesting prizes. Here are some men with their interesting stories. What's yours? How far will a teacher go to make sure that their students don’t drop out of school? Mr. Rajaram shows us a true example of how dedicated a teacher can be. Many students found it difficult to navigate to school as the roads were risky and were cautioned of animals in the forest. This caused fear among many families which lead to them not sending their kids to school and made them work in the fields and do the family business. 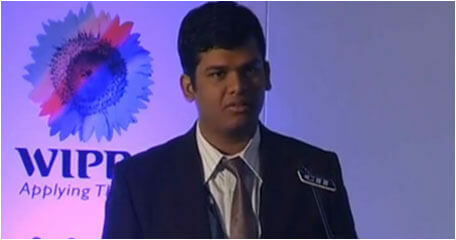 Rajaram was determined to change this thought of the parents and wanted to find a permanent solution to this problem. Help came to him the form of his friends Vijay and Ganesh who managed to buy a bus. The next problem was to find the responsible driver. 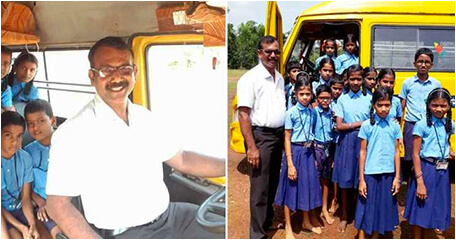 Rajaram took the responsibility onto his own shoulders and got himself a driving license and started driving the bus and teaching at the school. He would pick the students up and make sure that they reach school by 9:30 AM. He is a Physical Education professor who also teaches Math and Science for students from 4th to 7th grade. 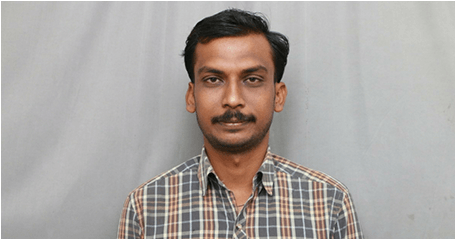 Originally his school had one student at the beginning which rose to 50 in total from class one to class seven and now thanks to this masterstroke from Rajaram the total count of students in the college has risen to 90. We salute the attitude of this dedicated teacher and we also hope that many of us take some inspiration from him and do something for our schools as well. 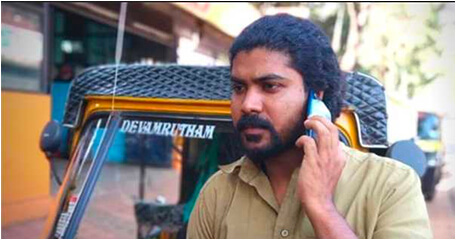 Sushanth, a native of Nilambur taluk, in the Malappuram district of Kerala is a 28-year-old auto driver. 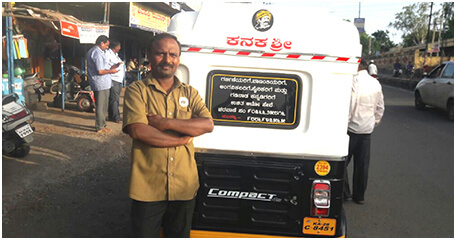 This auto driver has a strong vision in his life about helping people in need. He has managed to raise 1.5 crores in the span of 30 days. He made this feat possible by posting three videos on Facebook. In each video, he showcased the problem that the family in need were facing and he would also share the account details for people to send in their donations. At first, he was pulled back and demotivated by many people and was told that he was doing a futile thing. Sushanth showed immense determination and self-belief and made this collection a possibility. He did this for the first time around six months ago for a friend who needed money for an operation. He shot his first video for his friend which helped him earn two lakhs and was able to pay for his friend's operation. He had been using Facebook for seven years and he used to criticize Politicians and many other government officials. He would earn around 300 to 500 views for posting such content. This made him use the power of social media for a good cause and remove the negative thoughts of people in his area. His work was mostly based on trust due to which many people would not bother to consider him and would not help him. They would accuse him of using the money for his own use and not for really helping those in need, in spite of all of this Sushanth, never gave up and has helped save some key lives in his area. We salute the dedication of such an endearing person and hope that it inspires many people in helping those in need. The Institute of Chartered Accountants of India (ICAI) announced the CA results (old syllabus) on Wednesday, 23rd January 2019. 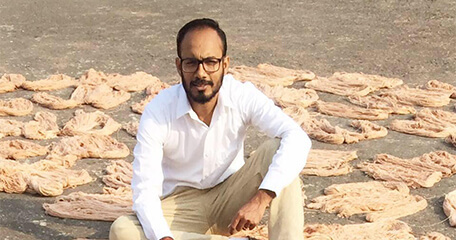 22-year-old Shadab Hussain, a resident of Kota, Rajasthan bagged the All India Rank (AIR) 1. With 597 out of 800 marks (74.63 per cent). This is a substantial juncture in Hussain’s life, given he comes from a very humble background. His father, Rafique, is a tailor, who only studied till Class 10 and his mother, a homemaker, is a school dropout. However, the couple did not want a similar educational background for Hussain. They ensured that he paved his way towards a brighter and rewarding career. 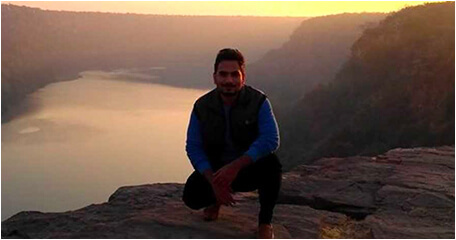 In an interview with the Indian Express, the topper revealed that he studies day-and-night to earn a job so that my parents do not have to worry in their old age. Also, that he thought Chartered Accountancy (CA) is a niche profession where one can keep learning for their entire lifetime. After due consideration and research, I set my mind to become a CA. 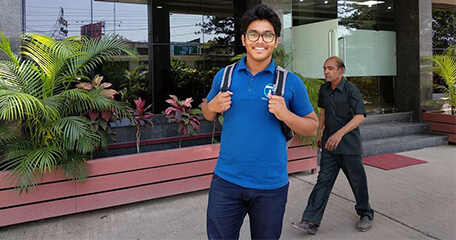 For CA aspirants, he explained that his strategy in the exam was finding out three-four questions which could help him attain 40 marks and trying to solve them in an hour. He then spent the rest two hours for questions that helped him increase the total score. Truly, Shadab is an inspiration for all of us! Dr Kiron Varghese, the head of Cardiology at St John’s Medical College and Hospital in Bengaluru, has decided to do something about the fact that cardiovascular diseases are a leading cause of death in India and that the underprivileged are left out of treatments because of the sheer expensiveness of these surgeries. For this reason, he decided to perform angioplasty for 30 people free of cost. He raised funds from his friends and family. All these surgeries will be performed by 19th February 2019. It may seem that 30 is not a substantial number of surgeries, but the 30 beneficiaries will be bestowed upon with the gift of life. In every sense of the word, doctors like Dr, Varghese are a blessing to the society! Dr. Uday Rajput, an MD in Paediatrics and the Director of the Cardiopulmonary Resuscitation (CPR) centre at the BJ Medical College in Pune boarded his flight from Nagpur to Pune. Twenty minutes into the flight, the doctor heard a woman calling out for help about a medical emergency. The staff informed the pilot who then used the PA system to ask if there was a doctor on board. Uday rushed to the man who had lost consciousness and there was no breathing nor a pulse which was a clear indication of cardiac arrest. He started the CPR and kept it for two minutes but it didn’t help. So Uday asked for an automated external defibrillator and started giving shocks to the patient’s chest which would make his heart beat again. The patient finally started breathing and his pulse returned to normal and he slowly opened his eyes. According to Uday, every person should know how to perform CPR. It can save lives, and we totally agree with this. This amazing story surely need an appreciation from all of us. 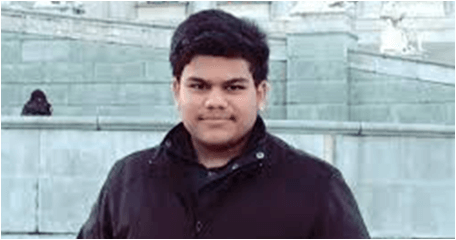 Krithik Ramesh, a 16-year-old boy of Indian origin who currently resides in Denver, decided to visit India. One of the places that he really wanted to visit was the government school at Deviyakuruchi near Attur, where his grandfather had completed his schooling. He was shocked when he saw the condition of the school which was unclean and didn’t have the basic amenities. The school teachers told him that this was the condition in most of the government school in the country. That’s when he decided to do something. 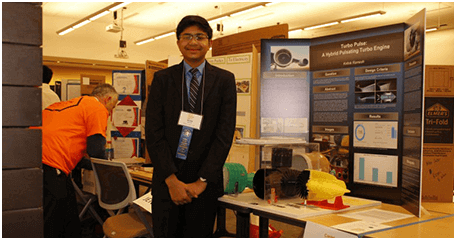 About six months ago, he had participated in an international science fair in Pittsburgh where he won first prize and was awarded $3000. So he decided to donate this prize money along with his savings to equip the government school with basic amenities. Upon enquiring about the needs of the school, he was told that it faced occasional power outages, and the headmaster suggested that installation of solar panels would be of great help. Agreeing happily with the headmaster’s idea, solar panels were installed and the school can now save up to Rs.15000 which otherwise was spent on electricity bills once in two months. 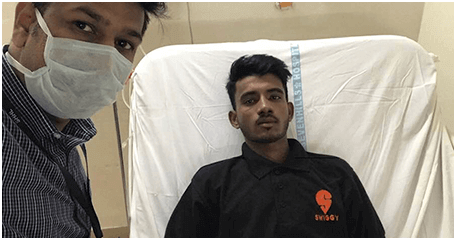 It was another regular working day for Sidhu Humanabade, a delivery boy working for Swiggy in Mumbai, when he saw smoke coming out and people screaming for help from ESIC Kamgar hospital in Marol, a locality in Andheri (East). Wasting no time, he joined the rescue operation immediately and managed to save 10 people. While the fire brigade was already evacuating people, many were still stuck in the building. Sidhu began to climb the ladder before he realized that a glass facade separated him from those in the hospital building. He had to use stones to break the glass facade in order to reach the people. Completely disregarding his own safety, he worked along with the firefighters and rescued ten lives. Later he was taken to a nearby hospital and was given immediate medical attention since he began to show signs of discomfort and chest pain. According to the doctors, he is doing fine and is out of danger. We respect this young man’s bravery who risked his life to save other people. Till a few years ago, if someone told you that they make videos on YouTube for their living, there would have been a confused look on your face and even in your mind. But the perception has changed in the last couple of years. This story is of one such YouTuber from Madhya Pradesh and is having the time of his life. Pranay Chouhan, a class 12th student from Vindhyachal Academy in Dewas, Madhya Pradesh, has over 98,400 followers on YouTube. The teen loves to talk about tech and gives insight into the latest technology available in the market and that too in Hindi. Recently Pranay won Best Under-15 Content Creator on Social Media award at the Social Media Summit Awards at Vijayawada (SMSA) for his channel Tech Theory on YouTube. The award made his parents understand and realize the power of social media. Pranay wants to pursue engineering and establish his own startup. The future already looks bright for this young teen. 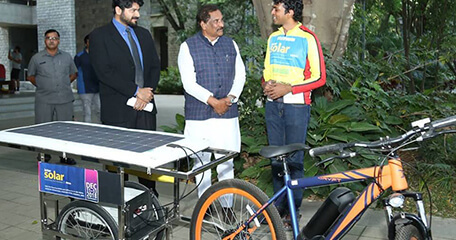 Sushil Reddy, an IIT-B graduate who constructed a solar-powered bicycle is creating records and the story of this energy engineer will surely inspire you. Sushil rode the solar-powered cycle across nine states in 79 days, delivering 25 seminars and covering 7425 kilometers. This resulted in breaking the Guinness and Limca World Record for the longest journey on a solar-powered e-cycle. 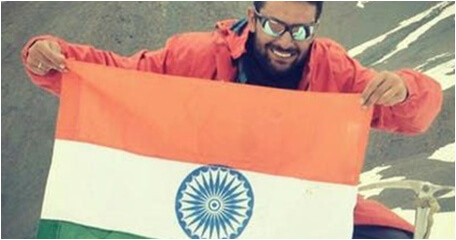 This journey of Sushil which is known as ‘The SunPedal Ride’ was repeated by him in France and the US as well. Sunil wants to change the misconception about the financial viability of solar power. He feels not enough people have knowledge about the advantages of solar power and also about his project and plans to spread awareness through his ride in India and globally. Talking about his future plans Sushil plans on making his SunPedal ride an annual tour. Have you ever wondered what happens to the flowers that you present as offerings to deities in temples or religious institutions? Well, you would have never imagined what happens at renowned Mahabodhi Temple in Bihar. The temple uses floral waste management to turn the flowers into natural dyes for the Khadi products. 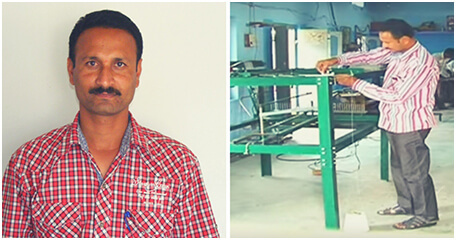 Praveen Chauhan, a social entrepreneur established MATR, that helps local artisans pay for their hard work. MATR has joined hands with Because of Nature, an Australian-based sustainable clothing label and started the Happy Hands Project. About 50 underprivileged women are part of MATR which takes care of collection and transportation of the material for the project. One can only thank Praveen for his effort for saving nature and reducing the waste burden on the planet. We always wonder that, what a young child can do about issues that are actually macro in nature. But Aarnav is one such young, 17 year old young boy whose interest and dedication to know about the issues of farmers and suicide reasons in Vidarbha breaks all the set norms. When he was about 14, he visited Vidarbha as he wanted to interact with the farmers. The only reason was, he was shocked was to repetitively hear the news of increase rates of farmer suicides. But however, it was a difficult journey for him to know about their problems as none of them thought that a young boy could do anything for them. Soon he came across ‘UjjBhav’ an initiative that works towards the betterment and day to day problems of these farmers. 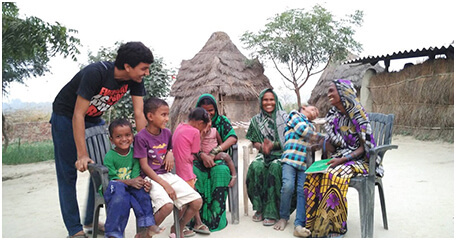 Today, Aarnav who is just 17 works with them manages report work, along with providing solutions for these farmers. 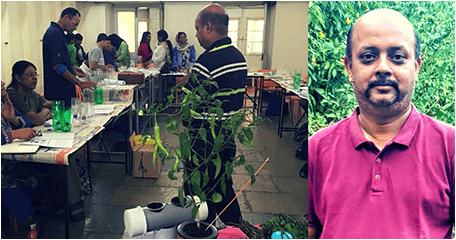 At such a young age, when children do tend to be carefree, Aarnav dedicated himself to work towards the society and these farmers which is commendable. We often hear people saying, about how they love sweets and can consume all day long. But how many of us do actually try and understand the authenticity of things used in the process of making it. Let me guess very few.. Stalin, who hails from Tamil Nadu and an engineer by profession, has always been curious to find that right taste in each and every sweet that he comes across. Hence, he decided to quit his job due to lack of productivity and soon began working towards making peanut candy but with authentic ingredients. During this process he came across the benefits of palm jaggery and cane sugar. With all his efforts he started making people aware of the difference between the two. With lot of ups and downs, today Stalin owns his own sweet shop delivering authentic sweets all through the traditional methods. Real passion has no age. Yes it’s true; Yash Vir Rao is one such example for all of us. Practicing as a civil engineer for many years along with a decent job, Yash somehow realised that maybe he was not happy with what he was doing; hence he decided to quit. By that time Yash was facing a lot of financial crunch due to which he was overburdened and stressed. It was then, that he decided to learn music and overcome his pressure. 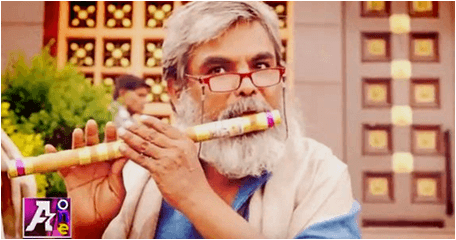 Soon, he realised the power of music, and in the process of urging the government to promote campaigns for students to learn music, he came across students who were keen to learn music anywhere right from the streets to any footpath. Today, Yash is a mentor to many such students across the streets of Delhi, who happily take music lessons for a minimal fee of Re 1. Education, still is somewhere considered of least priority in many parts of our country. The list of reasons can range from lack of financial assistance, lack of facilities and so on. The point is are we doing anything for this? Dev Kumar Verma, who hails from Jharkhand noticed that many of the children cater to the families of coal laborers who were dependent on daily wages. After completing his graduation and LLB along with a stable job, he decided to work towards the betterment of these children. Soon he started his own school in his hometown. However the struggle to convince the families of these children was not an easy task. But his dedication paved him towards positive results. Today, he not only works towards educating the children but also giving them lessons about honesty as many of them were indulged into different malpractices. Starting off till 5th grade educational center, currently he has 3 educational centers with well-equipped facilities and is working towards building a junior college which would guarantee them a secure job. Talent has the power that makes you reach higher level of success. Arsh Ali, is one such inspiration for all of us by setting an example of how age has no barriers when it comes to following your dreams. 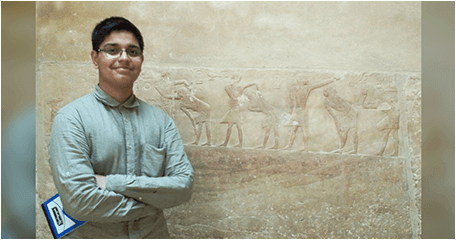 17 year old, Arsh Ali the youngest archaeologist has been working on various projects which includes – discovery of new evidence which connects Ashoka’s Dhamma to Egypt and many more. The only reason that helped him grow, was the passion to read more about things. The immense knowledge that he possess is from a very young age. He was about 7 years old when he came across Cryptology and Hieroglyphs, not only that but he is well versed with ten languages along with 18 scripts. The constant efforts to know more along with the support of his parents, Arsh sets an example for all of us. Sometimes simple techniques, makes it easier to solve bigger problems but the same is always neglected. 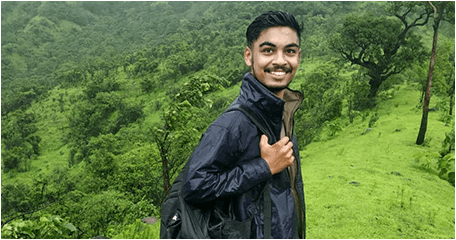 Pratik Dalwale, an engineering student helps us understand how natural and minor skills can help us get rid of pollution that has surrounded us.His smart practices includes, increasing the number of trees, also working with an NGO helps him creating awareness and plantation drives. He also suggests that how spraying water on the plants occasionally cleans the dust and pollution that settles on it. Currently, he is working towards a power generation system that may give a decent percentage of electricity used in households and farms. He is also making efforts to bring in productivity in the farming methods which will be beneficial for the farmers. He still tries to convey his skills and methods through word of mouth, students practicing agriculture and environment. A lot of times, while handling responsibilities we forget the roots that gave us the strength to fight for it. Natha, who faced tough battles in his childhood made it sure to help his people back then in Jaigaon. 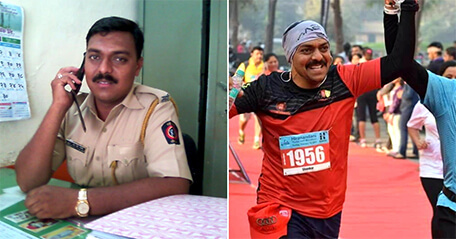 He started working as a driver in Mumbai at the age of 18 to complete his graduation. His hardwork and dedication were the key factors that kept him going forward. But one thing that was always a trigger, was that, the youth back then in his village kept on moving away to cities due to lack of opportunities. He soon realized how important it is to make his own hometown independent. With the same motivation, he started working towards the betterment of the village and people around him. Right from working for the rights of elderly, people suffering from disabilities, paperwork relating to government services. He also made an attempt to get learnings for the policies that a person can use when in need. His constant efforts where the reason that he constructed toilets for 12 families. In order to communicate with the administrator he was elected as the Sarpanch, which helped him to provide his village with 24x7 water availability. Today, Jaigaon has a stocked water capacity of 4 lakh litres. 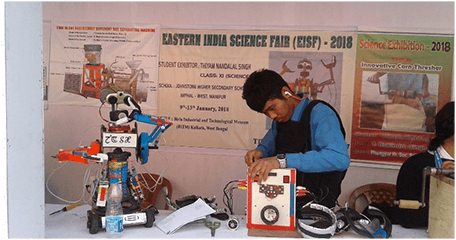 Nandlal Singh, a class 12th student from Imphal had always been fascinated towards technology and the way it functions. It was his keenness to know more about these things that always helped him to make new innovations. Right from repairing home appliances to electronic gadgets, he always tried new ways to get the things in place. Things changed for Nandlal when he constructed a robot, JON17, which was the most unique creation. Every component of the robot comprised of scrap materials like emergency lamps, electronic toys, DVD drives etc. The moments of the robot were programmed by the DVD drives, connected to a pair of syringes filled with water which functions as a hydraulic system. The robot can move forward, backward and sideways. Also the head can be rotated left and right, and the hands can perform some simple activities like holding objects, picking objects, etc. Today, Nandlal is a local celebrity in Manipur, as his innovation has been widely covered by many publications. To notice a problem oriented space and work towards its betterment is something that takes efforts and hard work. 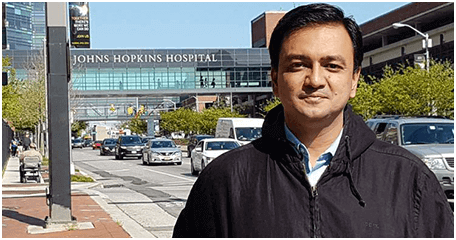 One such example is Swapnil Tiwari, a social entrepreneur, rover, inventor, healer, linguist, writer, and founder of 'Livemad', a movement that works towards the improvement of troubled communities. His constant efforts revolves around initiating new alternative educational facilities among people, especially with learning disorders. 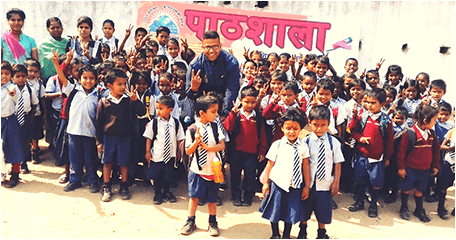 Swapnil, is a young change maker who initiated several projects like – Pink Whistle Project - World's cheapest self-defense device and awareness program, he conducted sessions to counsel teachers and parents to prevent any form of abuse against children. His constant efforts and hard work has made it possible for many of them to witness a positive change. A 50 year old, Mumbai resident, Suneet was running his stable business. But somehow he was not satisfied. He always wanted to work for the farmers and enhance the field of agriculture. He finally decided to work towards his desire; this became possible when he met Pratik residing in Murbad. 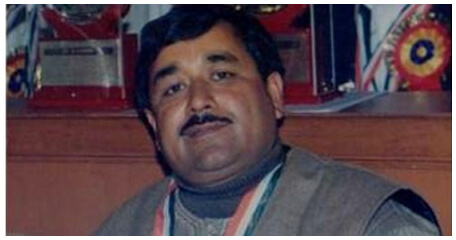 He was a guest professor, where Suneet’s daughter used to study. As suneet started looking for a land to start his agricultural activities, his daughter introduced him to Pratik who had similar goals and wanted to work towards it. Both of them pointed out the shortcomings in the agricultural field and started working towards it. It was also noticed by them that the villagers only cultivate paddy and the land goes unused from November till the next monsoon season. It took them eight months to convince the farmers. Today, Pratik focusses on paddy farming, Suneet works on making sure their farming methods do not harm the ecology. As all of us follow the pattern of finding a stable job, Sahu too, who hails from Madhya Pradesh joined a reputed multinational company. But sometimes, in spite of having everything in place we are not satisfied. The same was happening with Sahu because it was his passion and love towards wildlife that was trying to hold him back. But things changed for him when he came across the recruitment ad for the Head of Ahmadabad Zoo. 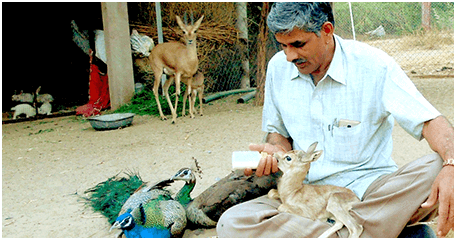 He decided to give up his job and applied for the new job and soon was a part of kankaria Zoo. Although the journey was not easy for him as he had to face a lot of difficulties, it was his dedication that kept him going. He introduced open enclosures for tigers, lions, and bears; started a reptile house and butterfly park; and also started breeding programs for several animals and birds. A scheme was initiated wherein citizens could adopt an animal and contribute towards its nutrition and other needs. The zoo is now home to over 150 species of birds and animals. 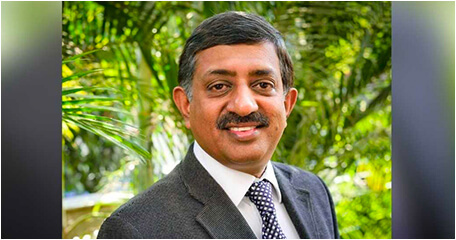 Dr Arvind Bhateja, Bangalore based doctor is among the top neurosurgeons in the country. 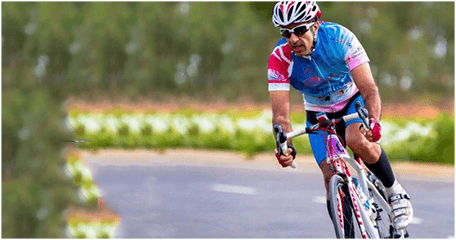 Along with practicing his profession, Dr Bhateja has also mastered the skill as a cyclist. A prominent recognition, fulfilling his passion as a cyclist, there was something more for him to achieve. He always wanted to help the patients who couldn't afford, also as these implants are expensive hence the patients have to approach the government hospitals. But due to lack of facilities it's difficult to find a proper solution. Hence, he participates in various cycling events and raises money for these patients who cannot afford treatments. 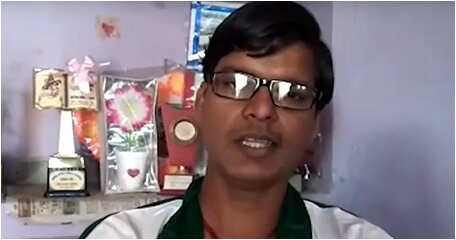 Surya is a 31 year old Engineer, who belongs from kansaharia – village located near Uttar Pradesh. 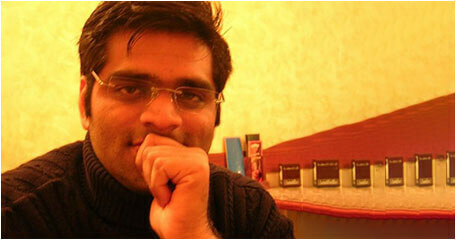 He moved to Lucknow for further studies and is currently working in Mumbai. After having a successful career, there was something that was bothering him. He wanted to tap on the issues that his people were facing, back in his village. Hence he started working towards eradicating problems of lack of education and also ways to improve the financial conditions of the families. Surya founded a school named Ajivam in Uttar Pradesh for children to obtain education. Around 30-35% of children were from the underprivileged background and the fees vary between Rs 200-Rs 500, based on their financial conditions. Surya’s family looks after the daily operations of the school. The school had 49 students in the start which has grown to 160 students and 9 teachers now. Currently he is working towards opening a public library to serve local communities by providing free and easy access to a broad range of knowledge resources. Ravi, who is a mason by profession later became a part of a dressed troupe. The story revolves around a baby with a dysfunctional hand. Due to the negligence on the part of the doctors, it became impossible for her to move her hand. Hence he decided to pay for the surgery through his costume acts at the festivals. From Lizardman to The Amazing Spiderman and many more, Ravi raised almost Rs 8 lakhs for 8 different children suffering from various defects. Initially supported by a person, his team grew up to 15 and currently to 65. The man who was born and raised by a daily waged labor parents, continues to work without any gains for these children. Hailing from Karnataka, Munnesa is a 42 year old BA graduate. But he decided to become an auto-driver when he saw a pregnant women die as she couldn’t get any ambulance or any vehicle. Since then he has been selflessly working towards the betterment of pregnant or physically disabled. He picks up passengers on a regular metered fare, he also rents out his services for a whole day, for regular passengers. If he receives a call or gets flagged down by someone who is pregnant or physically disabled, he ferries them to their destination free of charge. Currently, Munnesa has given over 2000 people free services. He also wishes to have his own auto-rickshaw and continues to work selflessly for the people in need. Pratap hails from Hyderabad. When he was around 5years old, he was challenged by his friends to hold an iron rod into an open electric wire. This unfortunate challenge changed his life, within seconds electricity surged his entire body causing amputation of his legs and hands. He couldn’t attend school, as he was even ashamed to move out of his house. But his sisters were the source of motivation. 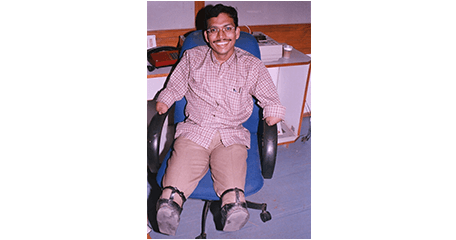 With their constant support he gathered courage and soon started using the computer efficiently with his mouth and ankle, write with the help of his jaws and walk on his knees. He managed to complete his education, along with a scholarship from the ‘National Center for Promotion of Employment of Disabled People’. Today he offers scholarships to the disabled students. Pravin, is an Ex-naval officer who had served in the Indian Navy for 17 years. After retiring, he began working towards the betterment of the children who were suffering from diseases that were beyond any cure. 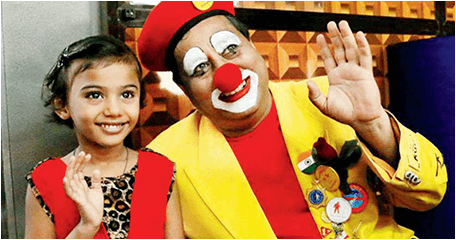 Hence with the aim of bringing smile on faces of these children, he acts as a clown and magician while visiting pediatric wards and orphanage throughout Mumbai. He is also a regular donor and has conducted numerous hygiene related campaigns in schools. 26-year-old Samyak Chakrabarty is the founder of Social Quotient -- a social enterprise which enables a collaboration between consumer brands and social causes. The aim behind this startup was to overcome the shortcomings that conventional NGO models face through a business-like approach, by bringing in accountability, better human resources and technology. He started off by educating school children about the United Nations through a Model UN program, and now he has also adopted Shree Ganesh Vidya Mandir -- a school in Dharavi where he is working towards transforming the learning experience for under-privileged children. 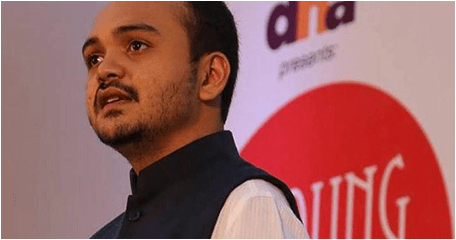 29-year-old, Abhishek Mishra who finished his complete education and successfully bagged a high end job in a corporate company. Even though he liked his job, there was something that was always holding him back. He tried his best to become the master at what he did but in this battle, he realized that he could achieve this only when he was happy while working. He quit his job and decided to take up his love for triathlons. 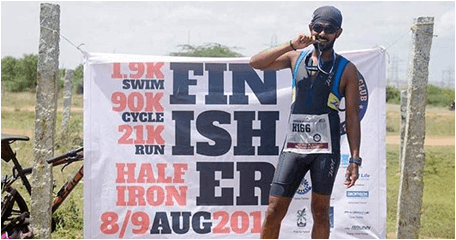 He became the first Indian to complete the 161 km run in the Kutch desert – ‘Run the Rann’, and is currently training for the Ironman. In his efforts to spread awareness about fitness, he started his own company called Tabono Sports & Entertainment Pvt Ltd., which focuses on structured health and employee engagement programs for corporates. They are also a running, cycling, triathlon and sports event management consultancy. During the first few years of independence a big freedom followed with a grueling task of building a nation for 330 million people. Eminent names from the Indian political system got down to work. 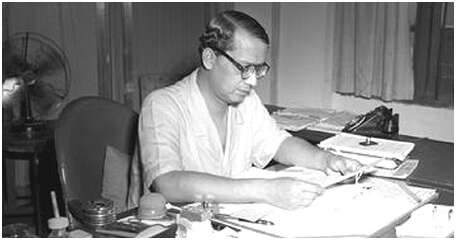 Though lesser known now, one of the most prominent personalities in that process was Sukumar Sen, who was instrumental in setting up India’s electoral system as it is today. From this limited tunnel, Sukumar had to get 176 million Indians, who were 21 years of age or above, to vote in India’s first-ever general elections in 1951-52. After achieving task above and beyond this man is remembered in high regard. The man who had to make the election possible, a man who is an unsung hero of Indian democracy. 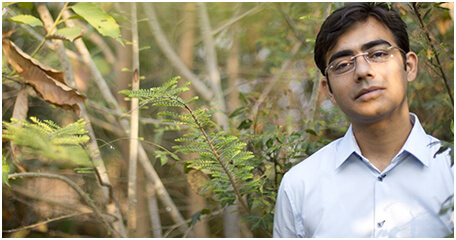 Subhendu Sharma used to work as an engineer before he quit his high paying job to start Afforestt, a company that makes natural forests in small spaces using the unique Miyawaki methodology to grow saplings. This allows them to convert any land into a self-sustainable forest in a couple of years. They’ve successfully been able to grow 48 of these forests in over 4 years. It all started when Subhendu decided to assist a naturalist professional, Akira Miyawaki to cultivate a forest near a place where he worked Miyawaki’s technique has managed to regenerate forests from Thailand to the Amazon, and Sharma thought to replicate the model in India. And therefore started a company that helps places turn into bio diverse ecosystem. A mere shopkeeper turned a teacher when Rajesh Kumar Sharma, started a makeshift school under a metro bridge where he teaches 39 children from a year, teaching here 5 days a week while his younger brother replaces him at his store. These children come from a small villages near the Yamuna bank, they are children of laborers, rickshaw-pullers and farm workers. Parents wanted their children to work instead of going to school as they would add to the family income. He argued with the parents and persuaded many of them. Rajesh Sharma has been teaching underprivileged children in other parts of the city too. When asked why does this he said, when he was growing up he couldn’t afford education because of the poor financial condition of his family. This is what led him to give others a chance at an education which led to the formation of this unconventional school. As a young boy Chintakindi Mashellam would watch his mother, a handloom weaver, work long labored hours, winding meters of silk yarn on to a large frame, a process that was integral in making of the exquisite Pochampalli Sarees which led to her mother’s body to steer in pain. When he grew up he decided to ease this pain. 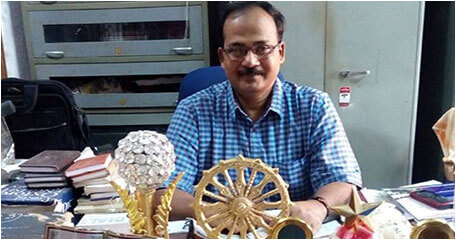 He Invented the Laxmi ASU, a machine that helps reduce the time and labor required to weave Pochampalli silk sarees, his invention has had a positive impact on the weavers working with 60 percent of the looms use to weave Pochampalli sarees. This has earned Mashellam a Padma Shri Award. On May 22, 2010, one of India’s worst aviation disasters took place. with 166 people on board, 158 were killed and only 8 survived. The official inquiry into the crash revealed that the pilot of the Boeing 737-800 had been asleep and was “disorientated” when he attempted to land the plane. 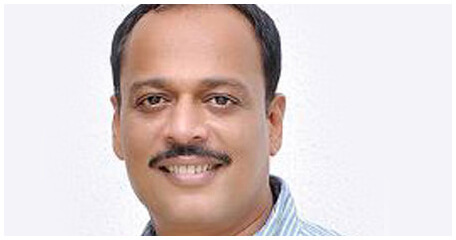 Due to the pilot's unprofessional demeanor with the civil authorities being aware, Yeshwant Shenoy decided to stand against this corruptive setup and fight against it. Ever since he has been single-handedly making India’s airports and aviation industry safer for its citizens. 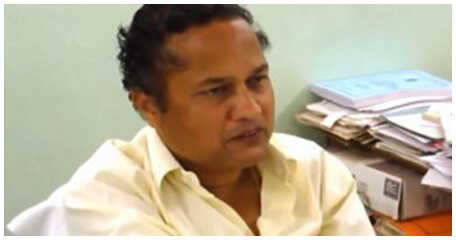 A dream energy resource named ‘LOCUS’ Localised Operation of Bio-Cells Using Sewage was made headed by Manoj K. Mandelia and a team of five at the IIT-Kharagpur. The product uses a single chambered microbial fuel cell, which can not only treat waste water but also produce electricity in the process. It is unique in the domains of environmental, economic and social sustainability. LOCUS is currently a lab-scale model at IIT Kharagpur, but once ready for commercial use it has the potential to solve the most pertinent problems — water and electricity. Every week, Dr V Soundarrajan, the head of a primary health centre in the village of Thanjavur district, harvests about 20 kilos of vegetables from the kitchen garden of the health centre, to feed 50 pregnant women who visit it for check-ups. He has been providing nutritious lunch for the pregnant women as an effort to bring down anaemia in pregnant women and infant mortality rate. By the help of sponsors he is able to help provide lunch on a daily basis to women in need. The physician has also started constructing a children’s park on the hospital premises. Considering these efforts, the health centre has got an ISO certification. 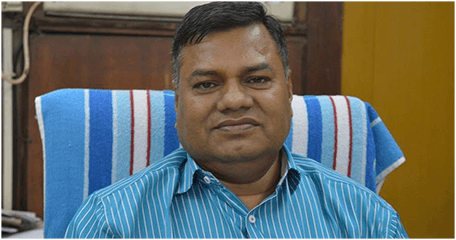 Headmaster, Chandan Kumar Maiti of Krishnachandrapur High School situated in the district of West Bengal, a district that tops the national list in child and human trafficking. This headmaster not only assists his students in every way he can but also helps save lives. Young, hapless girls are married off, to older men in Haryana, Punjab, Delhi and Jammu & Kashmir. Maiti not only takes the girls under his wing to educate and shield them but also waives off and sometimes pays for their admissions and tuition fees. He stands up to the husband and in-laws of the district for his students and gets the appropriate authorities involved to get his students their justice. With tremendous risk to himself, and to the children involved, the dutiful headmaster goes beyond just books, to help students. Vivek Arora has combined his passion for cycling with a social cause to generate funds for children with special needs at Tapan Rehabilitation Society, Nilokheri. Vivek (25), who embarked on his 4,000-km long cycling tour from Kashmir to Kanyakumari on February 28, reached Kanyakumari on March 31st. Vivek cycled up to 120 km per day and met cyclist groups and communities along the way. “I wanted to do something for the children living there, so I decided to tour the country from Kashmir to Kanyakumari,” he said. 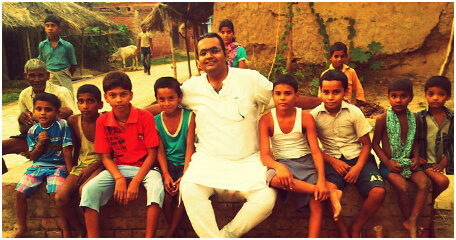 Vivek has done MBA from IIM, Calcutta, has set a goal of raising Rs 2 lakh for these children. Rajendra Singh and his organization, the Tarun Bharat Sangh, have dedicated themselves totally to rural development with environment care and protection for the last 21 years. In 1984, he left his job and dedicated himself to rural development. He formed the Tarun Bharat Sangh (TBS) and, together with four of his companions, began organizing villagers for the repair and deepening of old rainwater storage tanks. 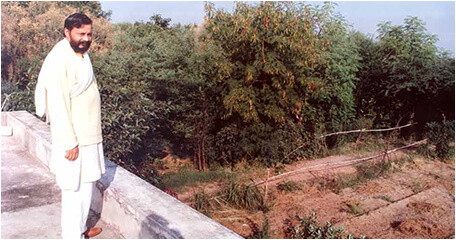 To fulfil the needs of the villagers, Rajendra Singh started rural development and employment generation activities in 1985 in Gopalpura village through water conservation. 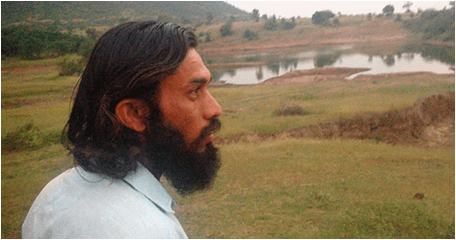 He played a catalyzing role in the building of 8600 rainwater storage tanks in 1058 villages spread over 6500 sq km in nine districts of Rajasthan. A specially-abled sportsman Jitendra 26, a resident of a remote village in Lalitpur, does not let hold himself back from achieving what he isn’t capable of despite the lack of government support. Jitendra is India’s first disabled basketball player from such a remote area. He is determined to create a name for himself in the sport, irrespective of the government’s role in providing the support required to make the path more accessible. Colin Gonsalves is the dedicated to serving India relentlessly by voicing issues of the poor, destitute and those less fortunate. 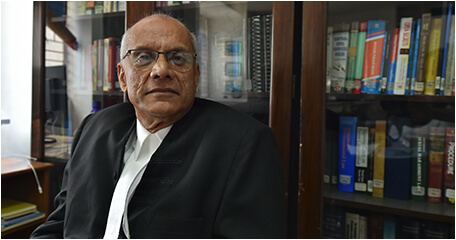 The Indian human rights lawyer has been awarded the 2017 Right to Livelihood Award. Through his brave endeavors and innovative use of public interest litigation, he has always held India’s government to account. 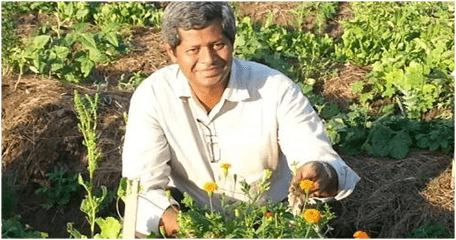 Rajesh Naik is the man who transformed 120 acres of barren land into a self-sufficient organic farm by developing a 50 feet lake on two acres of the land. Naik was determined to convert the fallow land into something useful. In spite of criticism from family members and friends he did not give up and continued to work on the land. Today, the lake generates 40,000 litres of water which irrigates the whole land. 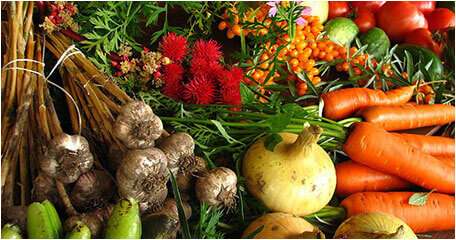 The farm is now one of the largest organic farms in the area and produces various fruits and vegetables like mangoes, haldi, pepper, bananas, cashew nuts, etc. When ordinary people bring about change, we cannot afford to miss out on this man. 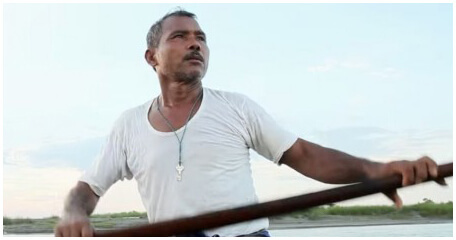 Jadav Peyang is the one who single-handedly converted a washed out land into a 1,360 acre forest. He started planting bamboo saplings when he was 16 years old. Today he is 47 and lives in his own forest, which is now also home to Bengal tigers, Indian rhinoceros, over 100 deer and rabbits, besides apes and several varieties of birds, including a large number of vultures. On a hot sunny day in June 2003, Ebix Inc’s CEO, Robin Raina, walked up to the roof of his 5-floor office building in Noida, India. Once there, his eyes fixated on the squalid slums, choked drains, and abject poverty all around him, standing in stark contrast to the sky-rises. 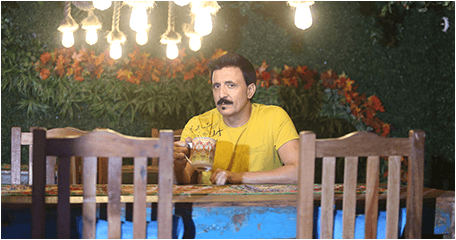 That day, Robin Raina decided to turn his life around and work for the poorest of the poor. He set up the Robin Raina Foundation in 2003. And in just five years, the foundation has adopted over 3,500 underprivileged children, is running multiple schools across the country, an orphan home in Mumbai, medical ambulances in Delhi, a cancer hospital ward in Pakistan and is building over 6000 concrete homes free of cost for the slum dwellers of Bawana in Delhi!. Out of a total of 6000 homes, the foundation has finished building and allocating over 2304 homes already. Ravi Katapady, a daily-wage labourer who collects money for underprivileged children in need of corrective surgery in the temple town of Udupi. 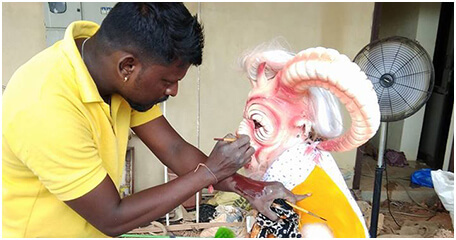 This he does by painting his body and donning different ‘Vesha’ during the grand celebration of Sri Krishna Janmashtami every year in the temple town. While his effort deserves applause of its own, his costumes are worthy of praise in themselves. From Lizardman of The Amazing Spiderman to characters from Mummy Returns, Ravi went on to raise almost ₹8 lakhs in total, for eight different children suffering from varying ailments in 2015 and 2016, with people willing to donate from Mumbai and as far as Dubai. Initially supported by a person, his team of helpers slowly grew to 15 and subsequently became 65 in three years. The selflessness that Ravi displays is beyond appreciation. For those whom he has given a new lease of life, he is nothing less of a god, and for others, he is the local superhero.